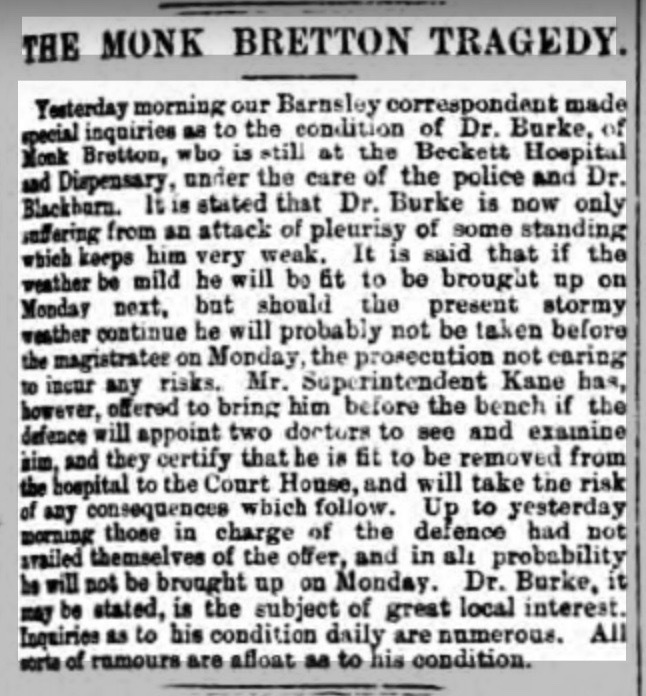 After the shooting of his daughter Dr Burke was taken to the Beckett Hospital at Barnsley to treat his gunshot wound which tuned out to be a flesh wound and not life threatening. It was not taken into account at the time that he was also suffering from shock as well as the effects of alcoholism on his body. If it were modern times he would have been treated for that as well as the bullet wound. Dr. Burke’s wound healed to the satisfaction of the doctors at the Beckett Hospital, but his health was not good. 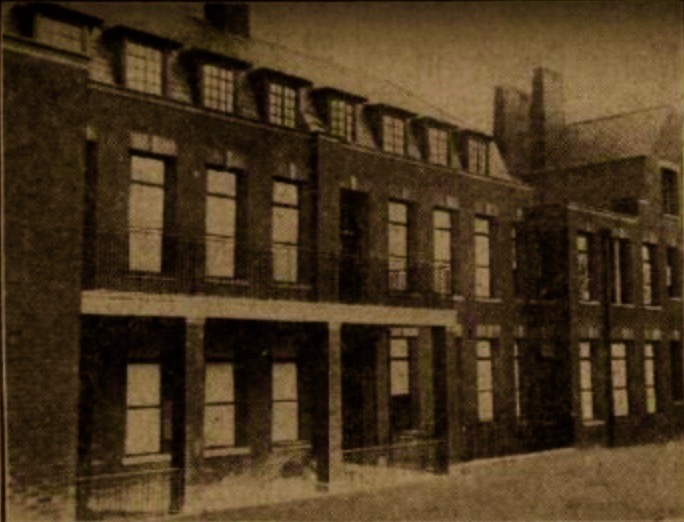 He had developed pleurisy as well as having an underling condition, the result of heavy drinking. It would take some time until he was fit to stand trial. This entry was posted in Family, History, Places on February 24, 2018 by Maria.